Do you want to incorporate a modern industrial style into your home but don't know where to start? Below is a quick guide that will help you tick off key elements to complete a timeless industrial look for your home. Industrial style is a trend that replicates the unfinished feel of a warehouse through raw materials and salvaged objects. It takes clues from old factories and industrial spaces and can also bring elements of history and strong or deep colours that create a homely and familiar feeling. Combining these with minimal and vintage furnishings helps create an industrial look that achieves raw and edgy styling but stands the test of time. One of the greatest ways to start and gain inspiration for your industrial style is doing some research to see what you like. Taking into consideration the current elements and colours in your home will help you know what you can add to compliment. A few of our favourite design inspiration sites for industrial design are Croma Design, Houzz, and of course everybody’s favourite: Pinterest. Collating inspiration helps create what is a commonly used themed into something personal and individual to your home. Many of the key elements that run through modern industrial styling include exposed pipes and ducts, vintage furniture and accessories, simple and minimal detailing, and cool colours than run against neutral blocks of materials. If you’re living in or looking to build a new home you most likely won’t have some of these luxuries as a given to begin with. Recreating exactly what you see in a photo might not be as easy as first imagined, but if you stick with staple materials that feature concrete, wood, steel and brick you’re certain not to go wrong. When it comes to vintage furniture we recommend looking at neutral or brown velvet, leather, or perhaps a look alike for both. 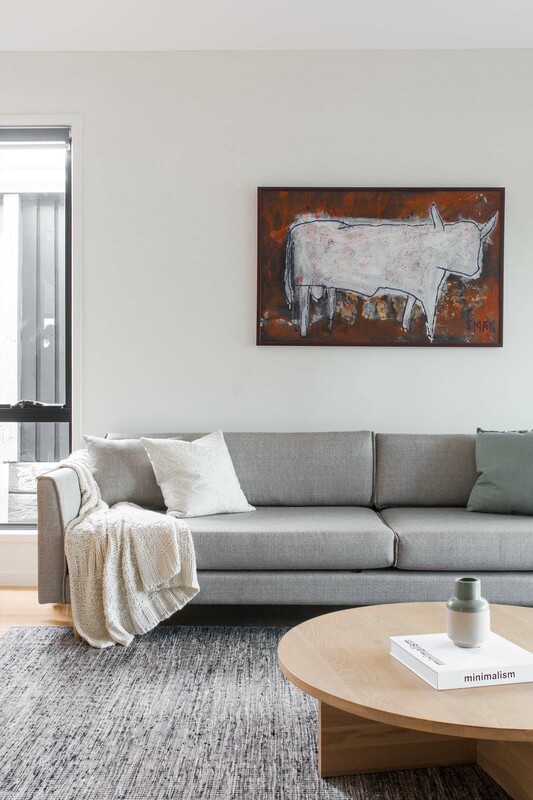 Whilst accessories are minimal in modern industrial design, you will find that most soft furnishings such as bed sheets, cushions and even lights throughout the home are cool or deep colours that work as an accent to the neutrals of grey, black and white. Elements that create an industrial look can come from somewhere existing to get the ball rolling. They can include anything from your family’s old wall clock, a worn-out leather couch, the old steel lamp or a metal bed frame. If you’re keeping to a low budget or looking for something that looks a little worn or vintage, we would suggest heading to markets, jumping on gumtree and popping into thrift shops. What is a project builder?